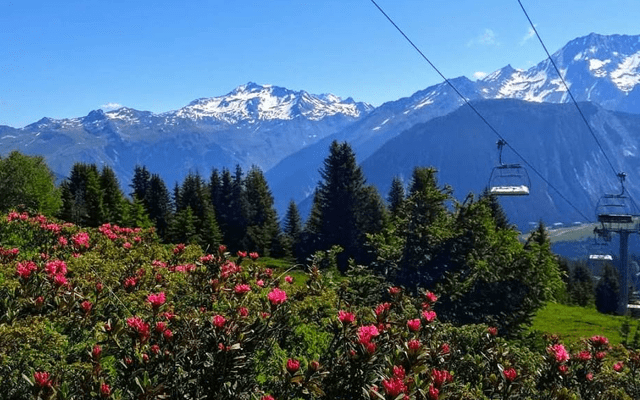 Although Méribel is primarily a ski resort, there are still plenty of things to do in the summer when skiing isn’t available. While most people visit the resort for its slopes, there are an abundance of alternative activities to enjoy after the snow melts. Don’t believe us? Here are 5 reasons to visit Méribel this summer. With a range of flight times, a scenic helicopter tour would be an experience like no other, a way to see the Alps like you’ve never seen them before. Being able to view the beautiful Mont-Blanc from 10,000 feet in the air would be enough to take anybody’s breath away. Choose between the 30-minute ‘Heart of the Alps’ trip or the ‘Mont Blanc tour’ which takes an hour. Who wouldn’t want to ride a helicopter around the breath-taking scenery of Méribel, all the while looking down upon stunning peaks and beautiful greenery? If you’re feeling active, why not try some mountain climbing? A group of experienced climbers and trainers called Bureau des Guides offer trips for both seasoned climbers and newer, less skilled people who just want to give it a try. Climbing is sure to get you fit and healthy, all while having fun at the same time. Your trainer will take you to popular locations for rock climbing, quite literally ‘showing you the ropes’! If you aren’t keen to get your hands dirty, then indoor climbing is always an option. You could try a range of different walls that range in difficulty, to suit both your skill level, and how much of a daredevil you are. White water rafting is a fun and enjoyable experience for all the family. All the instructors are fully qualified, and the only skill you need is to be able to swim. If it’s your first time, the instructors will take you down the introductory rivers to allow you to get a feel for the experience. 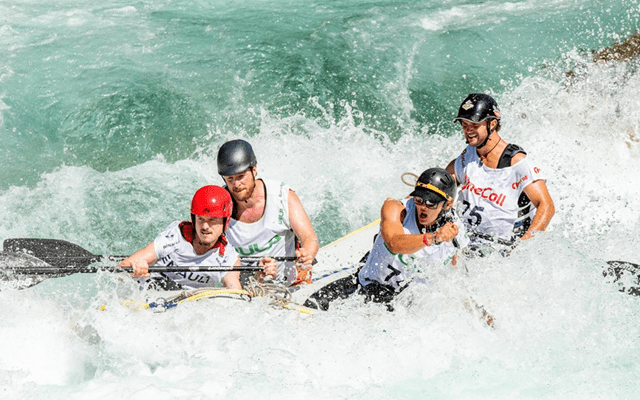 Although it may seem scary hurtling down stream at high speeds for 6-18 km, a strong team spirit is enough to get you through the challenge. Rafting allows everyone to feel an adrenalin rush as they glide down the rapids, while at the same time discovering some amazing scenery and creating a moment you won’t forget. At a resort like Méribel, many of the activities are likely to be physical, and tiring. Therefore, relaxing after a long day of strenuous fun in a leisure centre with a sauna, steam room, tea room, relaxation area and a swimming pool sounds like a great idea. The Parc Olympique centre also offers a range of beauty treatments and massages, to ease the stress you most likely put on your joints earlier in the day. Some people would say that ski resorts are most famous for their night life, and Méribel certainly doesn’t disappoint. There are bars and pubs that appeal to everyone. If you just want a quiet night to chat with friends and have a few pints, head over to the barometer a quiet pub with a calm atmosphere and no live music. However, if you want to have a late one, O’Sullivans night club is the place to go. The venue closes at 5:00 and is renowned for having some of the best live musicians. If you’re feeling classy, there are a variety of wine bars with vast lists of different wines to indulge upon, such as the Brewer’s Den Bar, conveniently located above O’Sullivans night club. If any of the above reasons satisfy a need of yours, you know what you need to do this summer. 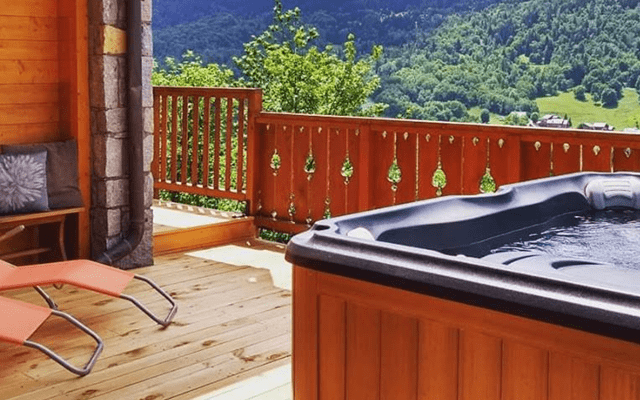 Whether you’re feeling active, need to soak up some sun, or just simple reconnect with nature, a luxury chalet in the Alps is your best choice of action. Make your holiday an unforgettable one by staying in a luxury chalet!